From the poor districts of Liverpool to international superstardom in an instant. Mr Starkey is blowing out 75 candles this Tuesday 7th July. As the least attractive and ingenious, yet possibly the most likeable Beatles, the mischievous Ringo Starr has had an extraordinarily innovative and influential role among several generations of ‘drummers’. A life that began in one of the most derelict districts of Liverpool but that rapidly shifted to that of a superstar whose star shines brightly even today. Just like the star that had been dedicated to him on the Hollywood Walk of Fame five years ago. Merely a few months ago Ringo published ‘Postcards from Paradise’, an autobiography which details his solo career that began in 1970 with the most important tracks of his career. From his initial days as a poor youth, Ringo had been in sickly health, eventually opting to leave school and enter a sanatorium. Ringo’s break came in 1962, when after experimenting with many small bands in Liverpool (he had donned his stage name Ringo due to the many rings he wore) he permanently replaced Pete Best as the Beatles’ lead drummer, a band that had been formed two years prior. With the Fab Four he would then go on to develop his relatively unsophisticated yet new, pounding style which would perfectly fit the new style of music that the Beatles would invent, a style which would change the very nature of popular music. He also cemented himself as an influential singer in songs such as “with a little help from my friends”, “yellow submarine”, “act naturally”, and most notably their hit song “Don’t pass me by”. John and Paul claimed that they composed songs that would be sung by Ringo based on ‘ringoisms’, quirks that Ringo would display when singing that John and Paul dubbed ‘poetic’. Speaking of ‘Act Naturally’ (which in this case means acting, as well as behaving, naturally), Ringo would also go on to display notable acting talent after the band’s dissolution in 1970 in several films. 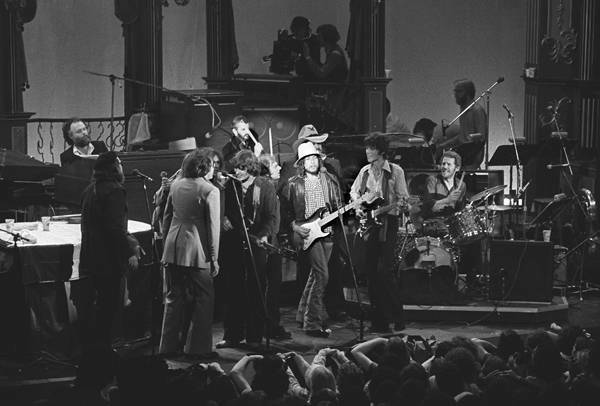 Starr would not be downtrodden, and after his band’s dissolution he released two solo albums in 1970, which would pave the way for a solid yet unremarkable career as a soloist, culminating notably in some success in the US charts with singles such as ‘Photograph’ (written with George Harrison) and ‘You’re sixteen’. Indeed, he continued playing with John, Paul and George in many solo albums. Despite being a worldwide celebrity in every capacity (participating in charity concerts, talk shows and indeed in an episode of the Simpsons), Ringo’s career as a solo artist never managed to cash in commercially, and he instead became a producer for several bands and artists. He was the only Beatle to only be inducted into the Hall of Fame as a Beatle, and not as a solo artist. In 1988 Ringo wound up in hospital for alcohol poisoning, and in 1989, after overcoming this difficult problem, he would go on to form the ‘All Starr Band’, which still operates to this day. The band made its debut in 1989 in Texas: the drummer was the band’s sole anchor, with many rotating celebrities occupying the other roles. 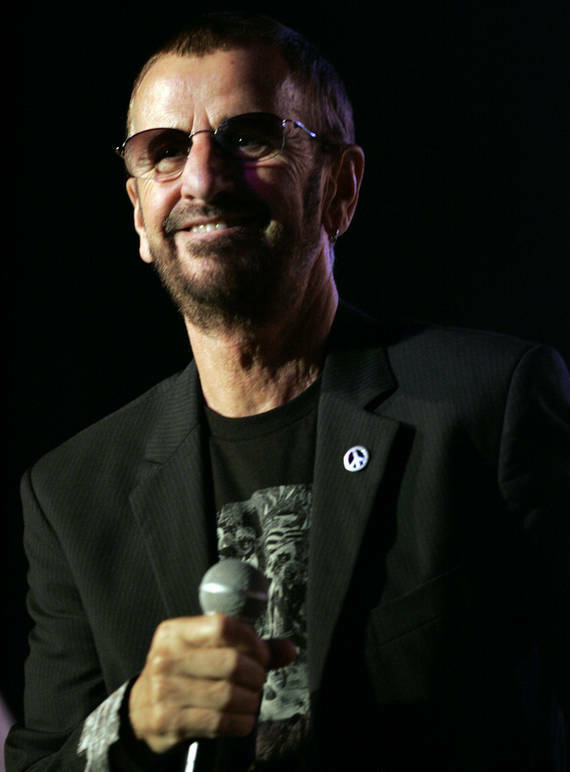 There has recently been some negative spotlight on Ringo; on 10th October 2008 he announced on his web site that he would no longer be responding to fan letters due to his “busy” schedule and, during the same year, he offended his fellow Liverpudlian citizens by claiming that he never missed the city while he was away, and that he had lied about it at several events (for instance, when he inaugurated Liverpool as the European capital of culture) in order to appease the hosts.